Mobile phone storage has evolved exponentially in the last few years. From the days of 4GB of built-in memory to the current 256GB of internal storage, it sure has been a huge jump. But come next year, we should see that number double as Samsung has announced that it has begun manufacturing 512GB embedded storage for phones. 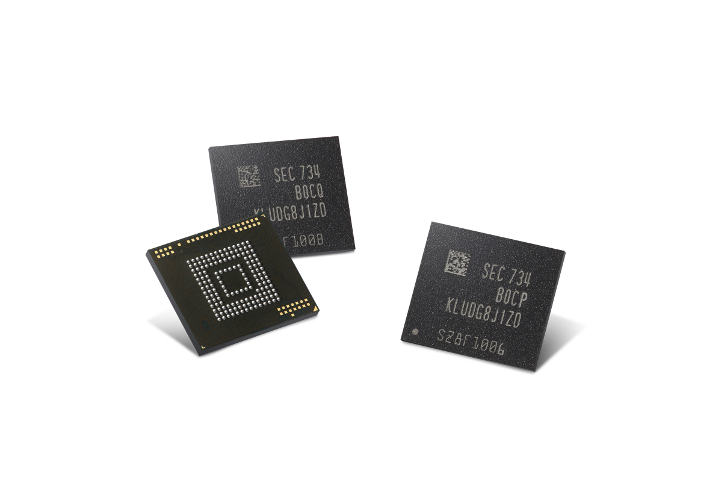 The new flash storage (eUFS) will feature Samsung’s 512-gigabit V-NAND chip and will overcome current limitations posed by the use of MicroSD cards. The new 512GB UFS increases the density of the 256GB eUFS storage from 48 layers to 64 layers and also includes a controller chip. Samsung is also using a bunch of new technologies to increase performance and energy efficiency. The controller chip also helps by speeding up the process that converts logical block addresses to physical blocks. Samsung says the read and write speeds have also improved. Sequential read speeds reach up to 860 megabytes per second, and 255 megabytes per second for write speeds. The new eUFS storage is also said to read 42,000 IOPS (input/output per second) and write 40,000 IOPS for random operation. Compare that to the 100 IOPS that conventional MicroSD cards read and you have about a 400x improvement in performance. The outcome of this is that users can enjoy a seamless multi-media experience in addition to “file searching and video downloading in dual-app viewing mode”. There is no mention as to which phones will be the first to get to use the new storage but it will be interesting to see the Galaxy S9 launch with it.